Located in northeast Ohio, Diabetes and Endocrinology Associates of Stark County, Inc. has served Canton and the surrounding communities since 1970. We welcome patients ages 12 and up to our practice. We keep up with the latest advances in the care and management of diabetes-related complications and other endocrine and metabolic disorders at our state-of-the-art facility – ensuring you receive the most current and effective treatments. We also offer patients the opportunity to participate in multinational clinical trials for new treatments for diabetes and diabetes-related endocrine, cardiovascular, or renal complications. For patients wishing to control their diabetes with fewer medications, we offer a nationally acclaimed, physician-supervised weight loss program that targets fat while preserving muscle. Find out more about Dr. Krishna and the rest of the team. 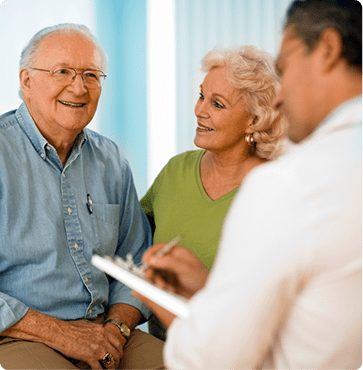 When facing a diagnosis of a chronic condition such as diabetes, thyroid disease, or other endocrine problem, your choice of health care provider plays an important role in your quality of life. It is important to find a doctor who understands your condition and offers the latest in treatment and technology to help manage it. Team Approach. Dr. Krishna believes in a team approach, and YOU are an integral part of the team. He and his staff will educate you about your condition and inform you about all available treatments, so you can make informed choices regarding your care. Personalized Care. Dr. Krishna delivers personalized, expert care to all his patients and provides you a team and tools to manage your condition as effectively as possible. He takes pride in maintaining a high level of patient satisfaction, which he achieves by truly taking the time to listen to his patients. Community Investment. Dr. Krishna and his staff are committed to serving our local communities. We sponsor a local high school tennis team and are active in community events such as the Akron/Canton JDRF Walk to Cure Diabetes and the Canton Carnival of Wheels. We look forward to serving Canton and Stark County for many more years to come. If you are in need of medical treatment for diabetes or another endocrine disorder in Canton, Ohio, and surrounding areas, call Diabetes and Endocrinology Associates of Stark County, Inc. at (330) 493-0013 today for an appointment with Dr. Krishna or you can request one online.